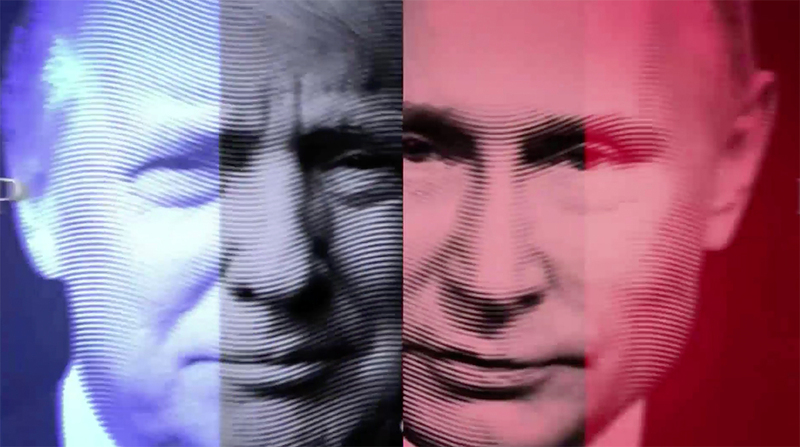 MSNBC is offering special daytime coverage on Donald Trump and Vladimir Putin’s summit in Helsinki, Finland that features a dramatic side-by-side portrayal of the men along with flag inspired design. 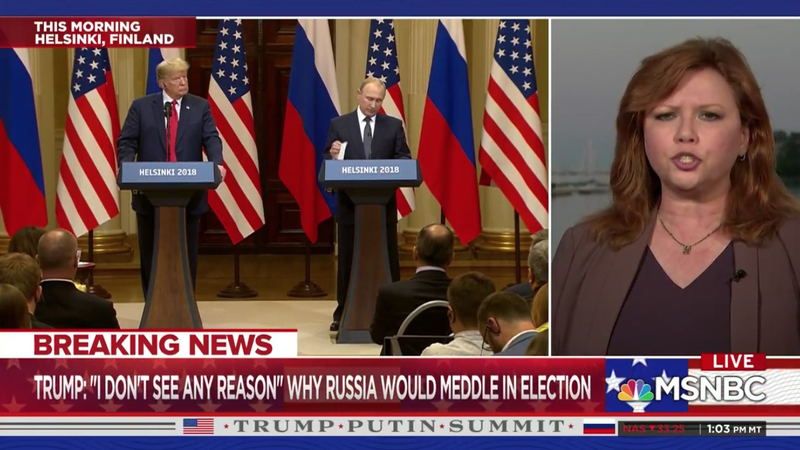 Under the name “Trump Putin Summit,” most of the network’s rolling “MSNBC Live” programming is being branded with red, white and blue graphics that match the network’s normal dayside look as well as both the U.S. and Russian flags. 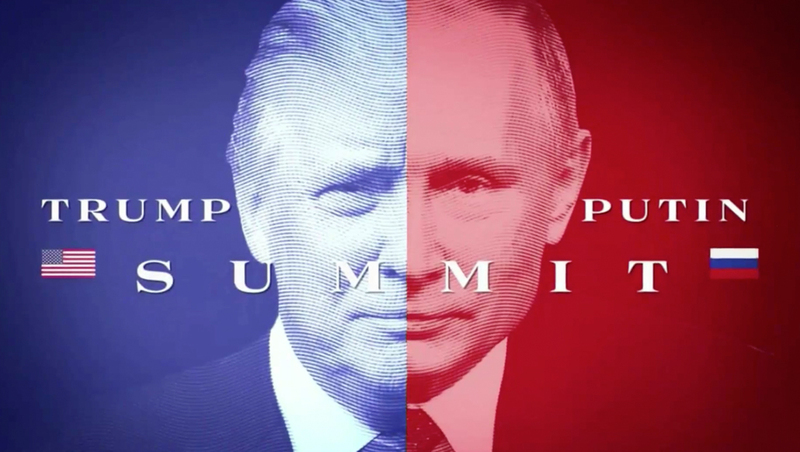 The network’s main animation for its summit coverage starts with an extreme closeup of both Trump and Putin’s faces with wavy lines inspired by elements in both Russian and U.S. currency overlaid — with Trump in blue and Putin in white. 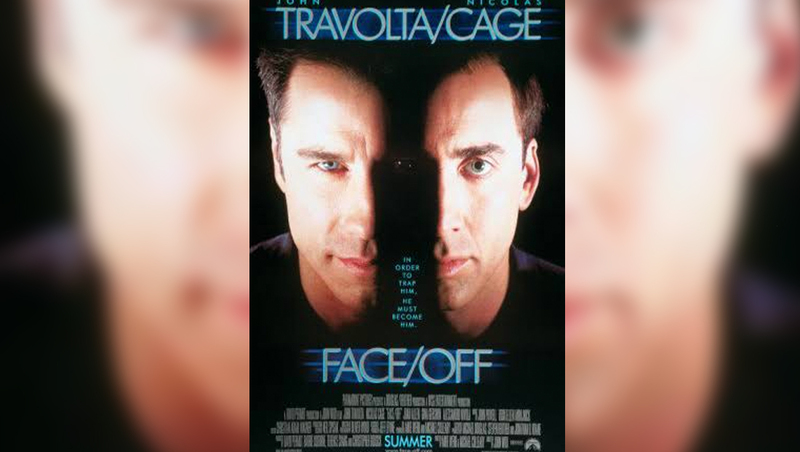 After zooming out, the left half of Trump’s face and right half of Putin’s face come together to form the illusion of a single face, split down the middle, in a slightly more colorful iteration of the 1997 film “Face/Off” starring John Travolta and Nicholas Cage. The wavy line pattern is also find in other background elements. 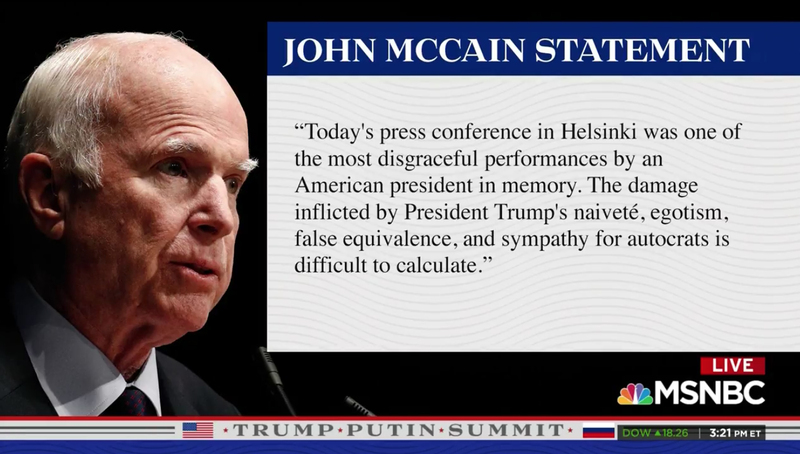 During the network’s coverage, MSNBC uses a lower bar with the “Trump Putin Summit” title flanked by U.S. and Russian flag icons. 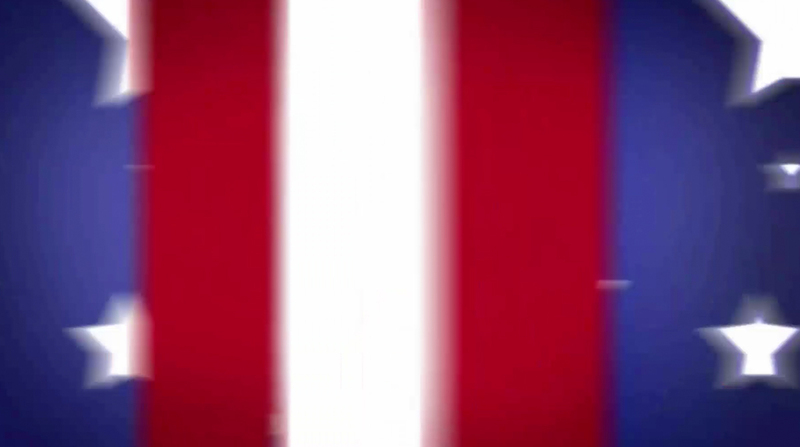 The typography used here and in the main animation is wide with sharp, angular serifs that’s similar to the typography found on U.S. currency. On either side of the title, a thicker and thin dark gray rules fill in the space, another nod to currency design, with a dark blue block below. 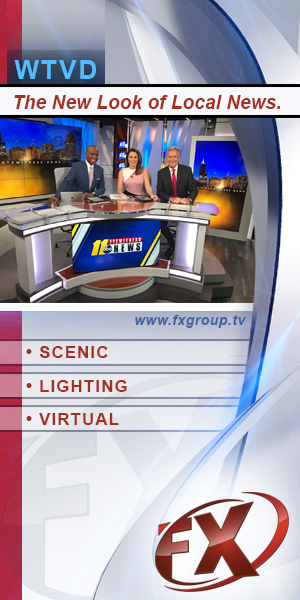 Other graphics make use of additional red, white and blue is used generously throughout the rest of the graphics, including bold white stars. Though these elements are more obviously tilted toward the America flag, the general color scheme matches that of the Russian flag, though the exact order of colors doesn’t match that found on it.